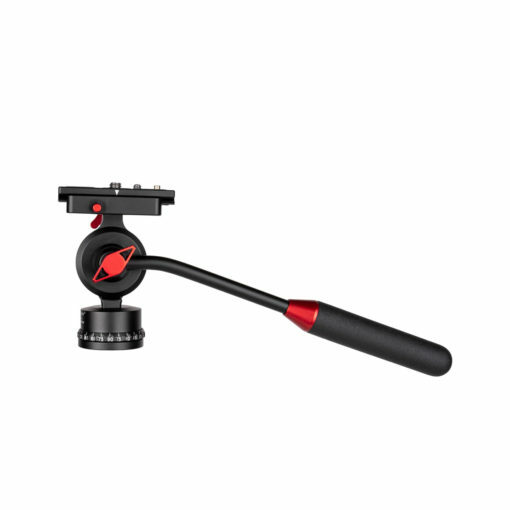 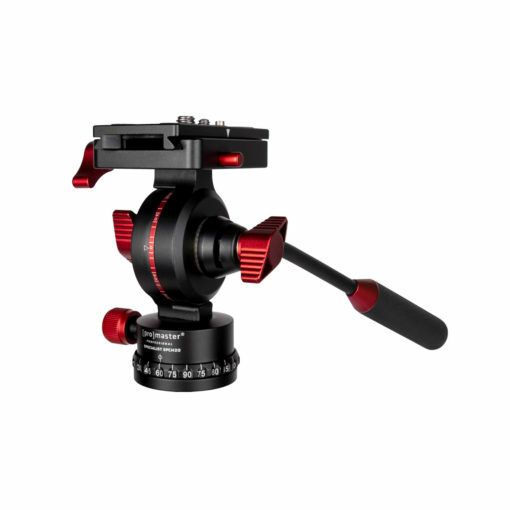 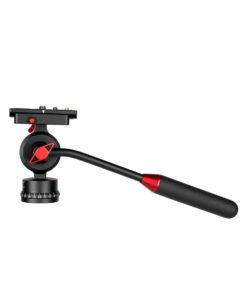 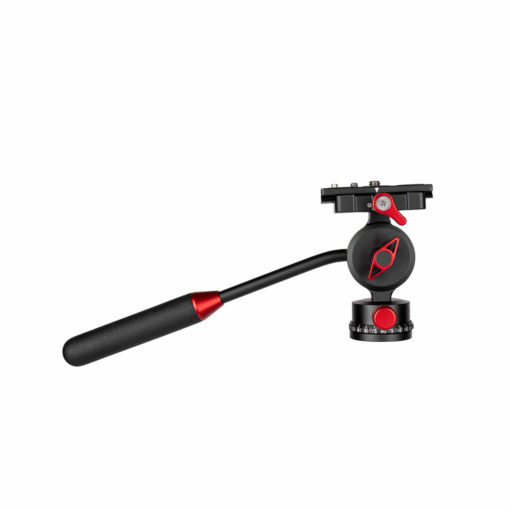 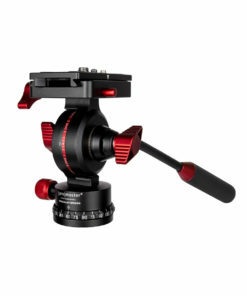 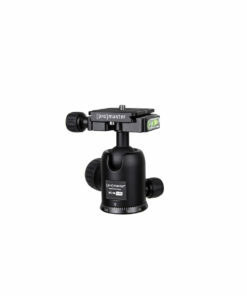 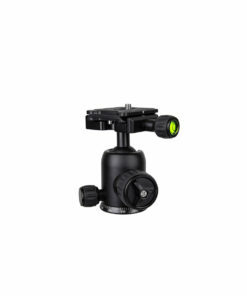 The ProMaster SPCH29 Cine Head is a small but mighty head designed for use with mirrorless and DSLR cameras shooting video or still photos. 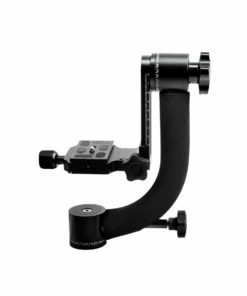 It provides smooth tilt / pan movements and features a cushiioned handle which can be reversed for right-hand or left-hand use. 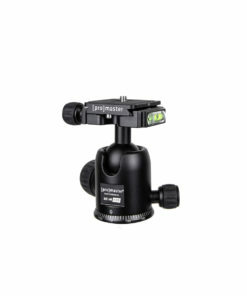 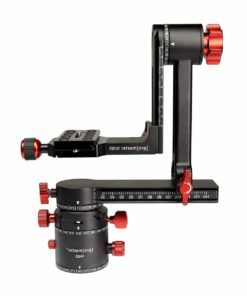 Its sliding quick relelase plate lets you balance your camera properly and has a scale for quick, repeatable use. 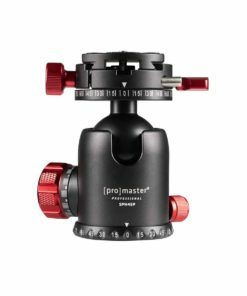 The dovetail design of the quick release plate is comatible with a variety of other ProMaster accessories as well as many industry standard items. 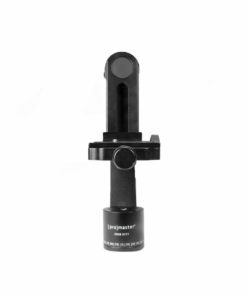 The mult-position quick release receiver at the top of the head can be set up in various orientations for front-to-back QR plate mounting or side-to-side. 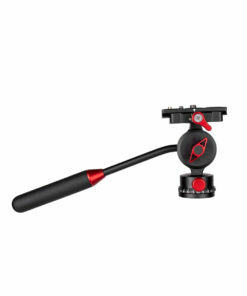 Red touch points quickly identify the controls of this head. 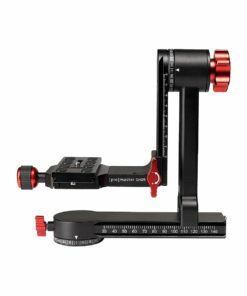 A separate panning control knob helps you achieve smooth, even pans and a marked scale at the panning base shows precise movemement. 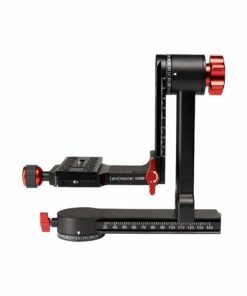 Many telephoto lenses with dovetail style (arca-swiss compatible) tripod collars work extremely well with the SPCH20 head in achieving excellent, smooth tracking of animals for wildlife photography too.